This paper will discuss some Danish peace education activities, especially those of the Danish Peace Academy, the Danish National Group of Pugwash Conferences on Science and World Affairs (Nobel Peace Prize, 1995), and the Grundtvigian adult education colleges. The Danish Peace Academy is an organization whose aim it is to promote peace education both in Denmark and throughout the world. The Academy organizes symposia and publishes books on subjects related to peace, but its main activity is a website which now contains 79,000 documents and illustrations.. The website has several thousand visitors each day from many parts of the the world. The peace education activities of the Danish Pugwash Group will also be described. These include a program for awarding student peace prizes to gymnasium students for projects related to peace, the solution of global problems, or to the work of the United Nations. The essay will also describe the educational traditions of the “people's colleges” founded by N.F.S. Grundtvig in the 19th century. These colleges have a special historical relationship to democratic government in Denmark, and they are also pioneers of peace education. The use of radio and television and exhibitions for peace education will also be discussed, as well as university courses dealing with the social responsibility of scientists and engineers. The Danish Peace Academy and its enormous website are interesting because they were founded and developed almost single-handedly by one person: Holger Terp, who has for many years been nearly blind as a result of a stroke. A few years ago he also suffered a severe heart attack which required a 5-fold bypass operation. Despite these seemingly insurmountable health problems, Holger works from early morning to late at night in the cause of world peace and international understanding. Holger Terp completed his education as a librarian in 1992. In 1996, he participated in a course on “Internet and Presentation Technique” at the Academy of Fine Arts in Copenhagen. However, in 1999 he suffered a stroke, which made him blind in one eye and almost blind in the other. The stroke also affected Holger’s speech, so that it was difficult to understand him when he talked. Instead of giving up, as many people would have done, Holger resolved to devote the remainder his life to the cause of world peace. Despite his severe handicap, he has achieved almost incredible results, a full account of which can be found on the link www.fredsakademiet.dk/ht.htm . Holger’s greatest achievement has been to found the Danish Peace Academy and to single-handedly create its enormous website. The website contains more than 79,000 images and files related to peace, in Danish, English and German, and it is currently visited by between 2,000 and 4,000 different people each day. Many of the visitors are from schools and universities in various parts of the world, who use the information on the website as a part of their studies. In creating his website, Holger has used both his training as a librarian and the knowledge that he gained from the 1996 course at Copenhagen’s Academy of Fine Arts. As a result, many parts of the website have great visual beauty because of the liberal use of images. For example, one can enjoy Holger’s “Greenham Common Songbook”, which is an account of the successful efforts of the woman’s peace movement in England to prevent common land at Greenham from being used as a base for nuclear weapons. The songbook is a piece of history, illustrated not only by the songs, which the visitor to the website can hear performed by such artists as Peggy Seeger, but also by countless beautiful posters and photos from the era. Other special features of the website are numerous books, articles, poetry and song collections, a peace-related encyclopedia, and a timeline showing the history of the peace movement, from the middle ages up to the present. For example, one can find on the website the interesting fact that war was once completely unknown to the inhabitants of Greenland. When Danish teachers in the 19th century explained European history to the Greenlanders, they had to teach them what war is, since the people of Greenland had never heard of it! Holger himself is the author or editor of numerous books, and he has translated Gandhi’s autobiography into Danish. The example of Gandhi’s life has always been a guide for Holger, and perhaps Holger’s life can be a guide for our own efforts, as we strive to work for peace. If he could achieve so much with such a severe handicap, then the rest of us ought to be able to do something too. In March, 1954, the US tested a hydrogen bomb at the Bikini Atoll in the Pacific Ocean. It was 1000 times more powerful than the Hiroshima bomb. The Japanese fishing boat, Lucky Dragon, was 130 kilometers from the Bikini explosion, but radioactive fallout from the test killed one crew member and made all the others seriously ill. Concerned about the effects of a large-scale war fought with such bombs, or even larger ones, Albert Einstein and Bertrand Russell published a manifesto containing the words: “Here then is the problem that we present to you, stark and dreadful and inescapable: Shall we put an end to the human race, or shall mankind renounce war?... There lies before us, if we choose, continual progress in happiness, knowledge and wisdom. Shall we, instead, choose death because we cannot forget our quarrels? We appeal as human beings to human beings: Remember your humanity, and forget the rest. If you can do so, the way lies open to a new Paradise; if you cannot, there lies before you the risk of universal death." The Russell-Einstein Manifesto called for a meeting of scientists from both sides of the Cold War to try to minimize the danger of a thermonuclear conflict. The first meeting took place in 1957 at the summer home of the Canadian philanthropist Cyrus Eaton at the small village of Pugwash, Nova Scotia. From this small beginning, a series of conferences developed, in which scientists, especially physicists, attempted to work for peace, and tried to address urgent problems related to science. These conferences were called Pugwash Conferences on Science and World Affairs, taking their name from the small village in Nova Scotia where the first meeting was held. From the start, the main aim of the meetings was to reduce the danger that civilization would be destroyed in a thermonuclear war. Many countries have local Pugwash groups, and the Danish National Pugwash Group is one of these. Our activities include conferences at the Danish Parliament, aimed at influencing decision-makers, but other activities are aimed influencing public opinion. Peace education activities include the award of student peace prizes on United Nations Day. In collaboration with the Danish Peace Academy, and with the help of the Hermod Lannung Foundation the Danish National Group of Pugwash Conferences on Science and World Affairs has offered prizes each year to students at 10 Danish gymnasiums for projects related to global problems and their solutions and to the United Nations. These projects are essays, dramatic sketches, videos, websites, posters, etc., and they were judged on UN Day, before large audiences of students. The background for this project is as follows: In 2007, in collaboration with several other NGO’s, we arranged a visit to Copenhagen by Dr. Tadatoshi Akiba, the Mayor of Hiroshima. In connection with his visit, we arranged a Peace Education Conference at the University of Copenhagen. In connection with Dr. Akiba’s visit, we also arranged a day of peace education at Copenhagen’s Open Gymnasium. About 15 people from various branches of Denmark’s peace movement arrived at the gymnasium at 7.00 a.m., and between 8.00 and 10.00 they talked to 15 groups of about 25-50 students about topics related to peace. At 10.30, all 500 students assembled in a large hall, where Dr. Akiba gave an address on abolition of nuclear weapons. A chorus from the gymnasium sang, and finally there was a panel discussion. The students were extremely enthusiastic about the whole program. The success of our 2007 effort made us want to do something similar in 2008, and perhaps to broaden the scope. Therefore we wrote to the Minister of Education, and proposed that October 24, United Nations Day, should be a theme day in all Danish schools and gymnasiums, a day devoted to the discussion of global problems and their solutions. We received the very kind reply. The Minister said that he thought our idea was a good one, but that he did not have the power to dictate the curricula to schools. We needed to contact the individual schools, gymnasiums and municipalities. In the autumn of 2008 we arranged a United Nations Day program on October 24 at Sankt Annæ Gymnasium with the cooperation of Nørre Gymnasium. We offered prizes to drama students at the two gymnasiums for the best peace-related dramatic sketch, a condition being that the sketches should be performed and judged before a large audience. Our judges were the famous actress Mia Luhne, Johan Olsen, the lead singer of a popular rock group, and the dramatist Steen Haakon Hansen. The students’ sketches and the judges speeches about the meaning of peace were very strong and moving. Everyone was very enthusiastic about the day. The judges have said that they would be willing to work with us again on peace-related cultural events. Our successes in 2007 and 2008 have made us wish to continue and possibly expand the idea of making United Nations Day a theme day in Danish schools and gymnasiums, a day for discussion of global problems and their solutions, with special emphasis on the role of the United Nations. The Hermod Lannung Foundation supported our project for extending this idea to 10 Danish gymnasiums in 2010, 2011 and 2012. The Hermod Lannung Foundation has generously awarded us funds to continue the project in 2013. The Danish United Nations Association worked with us on this project in 2011, and we hope that they will help us to expand it in the future, with additional funding from the Ministry of Education. A unique feature of the Danish educational system is the adult education that is available at about a hundred Folkehøjskole (Peoples' Colleges). This tradition of adult education dates back to the Danish poet-bishop N.F.S. Grundtvig (1783-1872). Besides writing more than half of the hymns presently used in Danish churches, Grundtvig also introduced farmers’ cooperatives into Denmark and founded a system of adult education. At the time when Grundtvig lived, the Industrial Revolution had already transformed England into a country that exported manufactured goods but was unable to feed itself because of its large population. In this situation, Denmark began a prosperous trade, exporting high quality agricultural produce to England (for example dairy products, bacon, and so on). Grundtvig realized that it would be to the advantage of small-scale Danish farmers to process and export these products themselves, thus avoiding losing a part of their profits to large land-owners or other middlemen who might do the processing and exporting for them. He organized the small farmers into cooperatives, and in order to give the farmers enough knowledge and confidence to run the cooperatives, Grundtvig created a system of adult education: the Peoples' Colleges. The cooperatives and the adult education system contributed strongly to making Denmark a prosperous and democratic country. Of the hundred or so Grundtvigian Peoples' Colleges exiting today, about forty offer peace education as a subject. An example of such a peace education course was the two-week summer school “Towards a Non-violent Society”, held at the International College in Elsinore during the summer of 1985. Since it was supported not only by the students’ fees but also by a government subsidy, the summer school was able to pay the travel and living expenses for lecturers who came from many parts of the world. Among the stars of the summer school were former US Governor Harold Stassen, the only living person who had signed the UN Charter; the famous Cambridge University ethologist, Professor Robert Hinde; Professor Suman Khana from India, an expert on non-violence and Gandhi; Sister George, a Catholic nun from Jerusalem, who spoke 12 languages during the course of her daily work and who was an expert on the conflicts of the Middle East; and Meta Ditzel, a member of the Danish Parliament who advocated legislation to make excessively violent videos less easily available to children. Other lectures were given by representatives of Amnesty International and the Center for Rehabilitation of Torture Victims. Since the summer school took place outside the regular term, all of the rooms at the International College were available, and students came not only from Denmark, but also from other parts of Scandinavia and Europe. Part of the summer tradition of the Grundvigian High Schools is that students of all ages pay the modest fees in order to have an intellectually stimulating vacation, during the course of which they will form new friendships. Thus the summer school had a social function as well as a pedagogical one. Accordingly, Suman Khana taught a yoga class as well as a class on the Gandhian tradition of non-violence. The summer school “Towards a Nonviolent Society”, which I helped to plan, had an interesting consequence, which affected my activities in the peace movement: One of the other people involved in organizing the summer school urged me to enter an essay contest sponsored by the Nuclear Age Peace Foundation. The contest called for essays on how to give scientists and engineers a sense of social responsibility. Following my friend's suggestion, I wrote an essay saying that universities ought to offer courses on the history and social impact of science. As the course reached modern times, it would be natural to introduce a discussion of the ethical , social and political problems created by the extremely rapid development of science and technology. My essay did not win the contest, but the friend who had asked me to write it was so pleased with what I had written that he translated it into Danish and submitted it to “Politiken”, one of the major Danish newspapers. When it was published, students from the University of Copenhagen, where I was teaching, came to me and said, “Well, if you really believe what you have written, you have to make such a course!” As the result of their urging I planned a course entitled “Science, Ethics and Politics”, but I had great difficulties in getting the studies committee to accept it as part of the curriculum. They apparently thought that science, ethics and politics were three entirely separate things, which ought not to have anything to do with each other. Finally the course was accepted under the condition that neither I nor any of the students who attended the course should get any credit for it. However, it was a great success. Later, the name was changed to “Science and Society”, and the students were finally given credit for attending the course. Meanwhile, the President of the University of Copenhagen heard about the course, and he kept sending me encouraging notes. One day he called me on the telephone, and said that since he knew that I was interested in global problems related to the rapid development of science and technology, he wondered whether I would like to be the Contact Person for Denmark for the Pugwash Conferences on Science and World Affairs. They had asked him to do this job, but he was too busy with his work as President. Since he was my boss, I had to say yes. I continued to give the “Science and Society” course until my retirement in 2003. Meanwhile, at the Niels Bohr Institute and at the Royal Agricultural College, similar courses were started. Finally, all of us who were involved in these courses wrote to the Minister of Education and proposed that such courses ought to be compulsory for all science and engineering students in Denmark. The Minister called together the heads of the Danish institutions of higher education and put the question to them. They accepted the idea, but it could not be put into practice immediately because there were not enough people qualified to give the courses. A program was started by Prof. Claus Emmeche of the Niels Bohr Institute to train people to teach the new courses. Finally, everything was ready, and starting in the autumn of 2004, all Danish science and engineering students at the university level have been required to take a course on the philosophy of science and its ethical aspects. The curriculum covers the history of science and technology, emphasizing cases where technology has produced socially harmful results as well as cases where the results have been beneficial. Global problems related to science are also be a part of the curriculum. • If I buy a weapon in order to feel more safe, there will be others who feel threatened. • If I exploit others in order to satisfy my own needs, there will be dissatisfaction and conflicts. • If I use more food than I need, others will go hungry. • If I dig a well and claim all the water for myself, others will go thirsty. These paragraphs from Nils Hartmann’s book are illustrated with photographs of children from the developing countries. The paragraphs are written in simple language, and the examples used are related to the needs of children. Denmark has for many years had an educational policy that aims at teaching children cooperative attitudes and habits rather than purely competitive ones. This system makes use of projects in which several children cooperate rather than individual projects. The use of cooperative projects in the Danish educational system can be thought of as an indirect form of peace education. Even at the university level, the Danish educational system makes much more use of cooperative projects than is the case in most other countries. Modern powerholders are acutely aware of the importance of propaganda. Thus the media are a battleground where reformers struggle for attention, but are defeated with great regularity by the wealth and power of the establishment. This is a tragedy because today there is an urgent need to make public opinion aware of the serious problems facing civilization, and the steps that are needed to solve these problems. The mass media could potentially be a great force for public education, but in general their role is not only unhelpful; it is often negative. War and conflict are blatantly approved of by television and newspapers. Today we are faced with the task of creating a new global ethic in which loyalty to family, religion and nation will be supplemented by a higher loyalty to humanity as a whole. In case of conflicts, loyalty to humanity as a whole must take precedence. In addition, our present culture of violence must be replaced by a culture of peace. How do the media fulfill this life-or-death responsibility? Do they give us insight? No, they give us pop music. Do they give us an understanding of the sweep of evolution and history? No, they give us sport. Do they give us an understanding of need for strengthening the United Nations, and the ways that it could be strengthened? No, they give us soap operas. Do they give us unbiased news? No, they give us news that has been edited to conform with the interests of the military-industrial complex and other powerful lobbies. Do they present us with the need for a just system of international law that acts on individuals? On the whole, the subject is neglected. Do they tell of the essentially genocidal nature of nuclear weapons, and the need for their complete abolition? No, they give us programs about gardening and making food. In general, the mass media behave as though their role is to prevent the peoples of the world from joining hands and working to change the world and to save it from thermonuclear and environmental catastrophes. The television viewer sits slumped in a chair, passive, isolated, disempowered and stupefied. The future of the world hangs in the balance, the fate of children and grandchildren hang in the balance, but the television viewer feels no impulse to work actively to change the world or to save it. The Roman emperors gave their people bread and circuses to numb them into political inactivity. The modern mass media seem to be playing a similar role. Since today's powerholders completely control the mass media, workers for peace must create alternative media. In Denmark, several people have been active in this field. Holger Terp's Danish Peace Academy website can be thought of as an important alternative medium for peace education Holger has also produced a series of radio programs devoted to the history of peace songs. Another important worker for peace education via alternative radio programs is Arne Hansen. He also maintains a website, where recordings of his radio programs can be accessed. In addition, Arne has an Internet newsletter with a large readership, which calls attention to his radio broadcasts, and to other matters of interest to the peace movement. Troels Peter Schmidt and his wife Nina Larsen produce an extremely valuable alternative television station called “TV Gaderummet” (TV Streetspace). Although they are only able to broadcast their programs at times when not many viewers can see them, the broadcasts have a large impact because they are available on YouTube. Troels uses his Internet mailing list to call his programs to the attention of people who might be interested in them. 1. UNESCO-IBE, Situation of Education for International Understanding: International Conference on Education, 44th Session, Geneva, 3-8 October, 1994, UNESCO-IBE, Geneva, (1994). 2. P.M. Bisch, Culture of Democracy: A Challenge for Schools, UNESCO-IBE, Geneva, (1995). 3. UNESCO-IBE, International Conference on Education, 44th Session, Geneva, 3-8 October, 1994: Final Report, UNESCO-IBE, Geneva, (1995). 4. N. Hartmann, Et barn har brug for fred!, Danish UNICEF Committee, (1986). 5. P. Manniche, Living Democracy in Denmark, Gad, Copenhagen, (1939). 6. J.C. Møller and K. Watson, Education in Democracy: The Folk High Schools of Denmark, Faber, London, (1944). 7. T. Rorodam, The Danish Folk High Schools, Det Danske Selskab, Copenhagen, (1965). 8, R. Aldridge and J. Aldridge, Children and Nonviolence, Hope Publishing House, Pasadena, CA, (1989). 9, American Friends Service Committee, Trading Books for Soldiers: The True Cost of JROTC, AFSC National Youth and Militarism Program, Philadelphia PA,(1999). 10. Amnesty International, In the Firing Line: War and Children’s Rights, Amnesty International, London, United Kingdom, (1999). 11. D.P. Barash, Introduction to Peace Studies, Wadsworth Publications, Belmont, CA, (1991). 12. D.P. Barash, Approaches to Peace: A Reader in Peace Studies, Oxford University Press, New York, (1999). 13. E. Benoit and K.E. Boulding, Disarmament and the Economy, Greenwood Press, Westport CT, (1978). 14. G.A. Bischak, Towards a Peace Economy in the United States: Essays on Military Industry, Disarmament and Economic Conversion, St. Martins Press, New York, (1991). 15. E. Boulding, Ed., New Agendas for Peace Research: Conflict and Security Reexamined, Lynne Rienner Pubs., Boulder, CO, (1992). 16. E. Boulding, Cultures of Peace: The Hidden Side of History, Syracuse University Press, Syracuse, NY, (2000). 17. K. Boulding, Economics of Peace, Ayer Co. Pubs., Salem, NH, (1972). 19. British Atlantic Committee, Peace and Conflict Studies: A Syllabus in Peace Studies, BAC, London, (1983). 20. B. Brock-Utne, Educating for Peace: A Feminist Perspective, Teachers College press, New York, (1985). 21. B. Brock-Utne, Feminist Perspectives on Peace and Peace Education, Elsevier, New York, (1989). A.K.K. Chandy, Peace Culture Amidst Power Conflicts, FOR India, Karala, India, (1992). 22. S. Dasgupta, Philosophical Assumptions for Training in Non-Violence, Gujarant Vidyapith, Amendabad, India, (1984). 23. R. Ehrlich, Ed., Perspectives on Nuclear War and Peace Education, Greenwood Press, Westport, CT, (1987). 24. Z. Fairbairnes, Study War No More: Military Involvement in British Universities and Colleges, Campaign for Nuclear Disarmament, London, (1974). 25. P.N. Fedoseyev, Peace and Disarmament: Academic Studies, Imported Pubs., Chicago, IL, (1987). 26. G. Feller et al., Eds., Peace and World Order Studies: A Curriculum Guide, World Policy, New York, (1981). 27. Five College Program in Peace and World Security Studies, Guide to Careers, Internships and Graduate Education in Peace Studies, PAWSS, Hampshire College, Amherst, MA, (1997). 28. B.R. Ford, Educating for Peace: Curriculum with a Global Perspective: Pre-Kindergarten, Kindergarten, and Early Elementary Grades, Inst. for Global Education, Grand Rapids, MI, (1997). 29. H. Gordon and L. Grob, Eds., Education for Peace: Testimonies from the World’s Religions, Orbis Books, Maryknoll, NY, (1987). 30. M. Haavelsrud, Education for Peace, Science and Technology Press, Guilford, Surrey, GB, (1976). 31. V. Harle, Essays in Peace Studies, Dartmouth Pub., Brookfield, VT, (1987). 32. I.M. Harris, Peace Education, McFarland and Co., Jefferson, NC, (1994). 33. D. Heater, Peace Through Education: The Contribution of the Council for Education in World Citizenship, Taylor and Francis, Philadelphia, PA, (1984). 34. 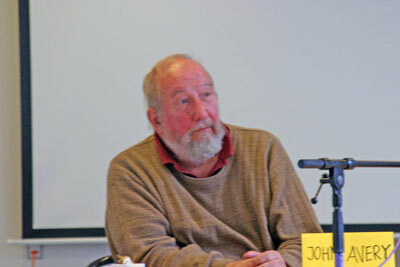 D. Hicks, Education for Peace: What Does It Mean?, Centre for Peace Studies, Lancaster, England, (1988). 35. D. Hicks, Ed., Education for Peace: Issues, Principles and Practices in the Classroom, Routledge, Boston, MA, (1988). 36. R.A. Hinde and D.A. Parry, Eds., Education for Peace, Spokesman Books, Philadelphia, PA, (1989). 37. M.W. Hovey and G.C. Gordon, ROTC and Catholic Higher Education, The Center on Conscience and War, Charlestown, MA, (1989). 38. I.T. Jacobs and J.J. DeBoer, Eds., Educating for Peace: A Report of the Committee on International Relations of the Nationsl Council of Teachers of English, D. Appleton-Century Co., New York, (1940). 39. G.G. Jampolsky et al., Eds., Children as Teachers of Peace, Celestial Arts Pub., Milbrae, CA, (1982). 40. R.A. Janke and J.P. Petersen, Peacemakers ABC’s for Young Children: A Guide for Teaching Conflict Resolution with a Peace Table, Growing Committee for Peace, St. Croix, MN, (1995). 41. T. Keefe and R.E. Roberts, Realizing Peace. An Introduction to Peace Studies, Iowa State Univ. Press, Ames, IA, (1991). 42. M.T. Klare, Ed., Peace and World Security Studies: A Curriculum Guide, Lynne Rienner Pub., Boulder, CO, (1994). 43. W.J. Kreidler, Teaching Conflict Resolution through Childrens’ Literature, Scholastic Press, New York, (1994). 44. W.J. Kreidler, Elementary Perspectives No. 1: Teaching Concepts of Peace and Conflict, Educators for Social Responsibility, Cambridge, MA, (1990). 47. H. Kung, Global Responsibility: In Search of a New World Ethic, Coninuum Press, New York, (1992). 48. T.J. Lasley, Teaching Peace: Toward Cultural Selflessness, Birgim and Garvey Pub., Westport, CT, (1994). 49. P. Lawler, A Question of Values: Johan Galtung’s Peace Research, Lynne Rienner, Boulder CO, (1995). 50. D.E. Levin, Teaching Young Children in Violent Times: Building a Peaceable Classroom, Educators for Social Responsibility, Cambridge, MA, (1994). 51. G.A. Lopez, Peace Studies: Past and Future, Sage Pubs., Beverly Hills, CA, (1989). 52. K.A. Maddava, Peace Studies: Towards a Transformative Process, LEPS Press, Dekalb, IL, (1994). 53. J. McGinnis et al., Educating for Peace and Justice (3 vols. ), Inst. For Peace and Justice, St. Louis, MO, (1985). 54. J. McGinnis et al., A Manuel for Teachers (3 vols. ), Inst. for Peace and Justice, St. Louis, MO, (1985). 55. National Council of Women of Great Britain, Educating People for Peace, NCWGB, London, (1983). 56. J. O’Connell and A. Curle, Peace with Work to Do: The Academic Study of Peace, St. Martin’s Press, New York, (1987). 57. B. Reardon, Comprehensive Peace Education: Educating for Social Responsibility, Teachers College Press, New York, (1988). 58. B. Reardon, Ed., Educating for Global Responsibility. Teacher Designed Curricula for Peace Education, Teachers College Press, New York, (1987). 59. B. Reardon and E.N. Nordland, Eds., Learning Peace: The Promise of Ecological and Cooperative Education, SUNY Press, Albany, New York, (1994). 60. B.F. Reys, Education for World Peace, World Univ. Amer., Ojai,CA, (1977). 61. P. Smoker et al., Eds., A Reader in Peace Studies, Pergamon Press, New York, (1990). 62. A. Stomfay-Stitz, Peace Education in America, 1828-1990: Sourcebook or Education and Research, Scarecrow Press, Lexington, MA, (1993). 63. UNESCO, Peace Research Trend Report and World Directory, UNESCO, Paris, (1978). 64. UNESCO, UNESCO Yearbook on Peace and Conflict Studies, Greenwood Press, Westport, CT, (1980-1990). 65. UNESCO, World Directory of Peace Research and Training Instituions, Berg Pubs., Herndon, VA, (1988). 66. Universitetsforlaget, Journal of Peace Research, periodical, Universitetsforlaget, Oslo, Norway, (1964-present). 67. University Conversion Project, Study War No More, periodical, UCP/War Research Information Service, Cambridge, MA, (1991-present). 68. P. Wallensteen, Ed., Peace Research: Achievements and Challenges, Westview, Boulder, CO, (1988). 69. A.G. White, Educating for Peace: A Selcted Bibliography, Vance Bibliographies, Montecello, IL, (1989). 70. S. Wichert, Keeping the Peace: Practicing Cooperation and Conflict Resolution with Preschoolers, New Society Pubs., Philadelphia, PA,(1989). 71. B. Wein, Ed., Peace and World Order Studies: A Curriculum Guide, World Policy, United Nations, New York, (1985). 72. O.N. Larsen, ed., Violence and the Mass Media, Harper and Row, (1968). 73. R.M.. Liebert et al., The Early Window: The Effects of Television on Children and Youth, Pergamon, Elmsford, NY, (1982). 74. G. Noble, Children in Front of the Small Screen, Constable, London, (1975). 75. H.J. Schneider, Das Geschäft mit dem Verbrechen. Massenmedien und Kriminalit, Kinddler, Munich, (1980). 76. W. Schramm, ed., Grundfragen der Kommunikationsforschung, Munich, (1973). 77. J.L. Singer and D.G. Singer, Television, Imagination and Aggression: A Study of Preschoolers, Erlbaum, Hillsdale, NY, (1981). 78. H.J. Skornia, Television and Society, McGraw-Hill, New York, (11965). 79. D.L. Bridgeman, ed., The Nature of Prosocial Behavior, New York, Academic Press, (1983). 80. N. Esenberg, ed., The Development of Prosocial Behavior, New York, Academic Press, (1982). 81. W.H. Goodenough, Cooperation and Change: An Anthropological Approach to Community Development, New York, Russell Sage Foundation, (1963). 82. J.R. Macauley and L. Berkowitz, Altruism and Helping Behavior, Academic Press, New York, (1970).